Below is a history of the Invasion of Iraq, The Chilcot Inquiry and the role that Tony Blair, George W Bush and others have played in it. Tony Blair visits George Bush’s ranch in Crawford, Texas. The two hold secret talks without the presence of UK’s Ambassador to Washington, Sir Christopher Meyer. We now know from the leaked memo of Colin Powell that during that weekend Tony Blair gives his word to Bush that the UK would support the US in the invasion of Iraq and that removal of Saddam would represent a regional success. 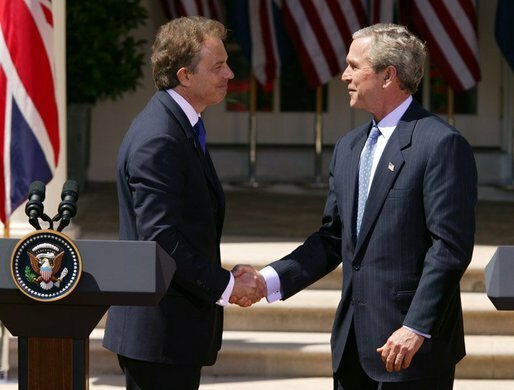 Blair also assures Bush he would convince Parliament that war was the only option. Senior Adviser in Biological Defence, Dr David Kelly, is shown the dossier. He is asked to add his name to give it weight. 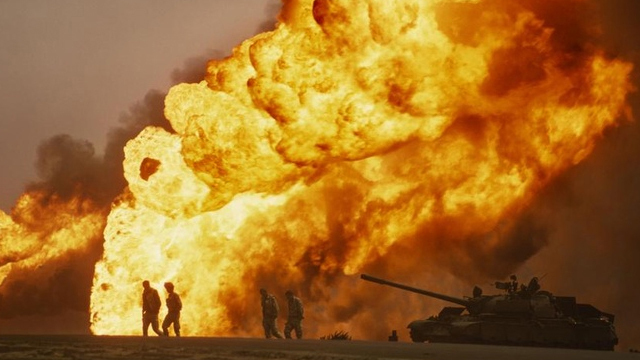 Britain publishes dossier outlining the threat posed by Iraq. It includes the “45 minute claim” – that Saddam Hussein had weapons of mass destruction that could be used against the UK within 45 minutes of him giving an order. The weapons inspectors start their inspections, visiting two sites. They thank the Iraqis for their co-operation but do not comment on their findings. UK’s ambassador to the UN says the diplomatic process on Iraq has ended and announces the withdrawal of a draft resolution co-sponsored by the US and Spain; The arms inspectors evacuate Iraq. After his initial assessment that any invasion of Iraq would be illegal Lord Goldsmith, the Attorney General, now confirms, in a written parliamentary statement that war against Iraq would be legal on the grounds of existing UN resolutions. Following Tony Blair’s address to Parliament about the threat posed by leaving Saddam Hussein in power, there follows two votes giving Blair the mandate to join the US in the invasion of Iraq. Robin Cook, leader of the House of Commons, resigns from cabinet, firmly against the invasion. President Bush declares victory in Iraq in speech on board the aircraft carrier USS Abraham Lincoln. UN Security Council backs US-led administration in Iraq and lifts economic sanctions. Dr. David Kelly meets journalist Andrew Gilligan and tells him the dossier was “transformed a week before publication to make it sexier – the classic was the 45mins claim” which was added afterwards. Andrew Gilligan broadcasts the “sexed up” dossier report on BBC Radio 4. An hour later Downing Street issues a rebuttal. Alastair Campbell, Tony Blair’s Press Secretary and spin doctor, tells Foreign Affairs Select Committee the Gilligan story “is a lie” and he demands an apology. Kelly goes for a walk with his daughter, Rachel. She asks him if the row with Alastair Campbell and the BBC is affecting his work. “He seemed to have the world’s pressure on his shoulders,” she said later. BBC admits Gilligan met Kelly on May 22. That evening, Kelly’s name is confirmed to the press by the MoD as the source of the “leak”. Kelly feels betrayed by the MoD. Kelly appears before the Foreign Affairs Select Committee and is insulted and harangued by Alastair Campbell and some of the MPs. Kelly gives evidence before the Intelligence and Security Committee. Again he is intimidated by the form of hostile questioning. Tony Blair flies to the US to receive the Congressional Medal of Honour. Kelly emails a reporter and refers to “Many dark actors playing games”. 3pm. Kelly receives a phone call from the MoD. Kelly goes out for a walk near his home and is later reported missing. Doubts: Dr Michael Powers QC says key questions were not asked about Dr Kelly as to the veracity of the second postmortem report, There was too little blood at the scene and the knife had no fingerprints on it. Neither did a bottle of water, a mobile phone, glasses nor three empty blister packs of pills found with him. Butler Report on Iraq intelligence published, saying MI6 did not check its sources well enough and relied on third hand reports to compile the 2002 dossier. It also said the dossier should not have included the 45 minute claim without explaining what it meant. Glenda Jackson MP announces she will stand for leadership against Tony Blair to force a leadership election if he tries to cling to power. Reg Keys, father of a British serviceman killed in Iraq, stands as an anti-war candidate against Tony Blair in Blair’s constituency of Sedgefield. Tony Blair hands over the leadership of the Labour Party to Chancellor of the Exchequer, Gordon Brown. Blair tenders his resignation. Gordon Brown becomes Prime Minister. 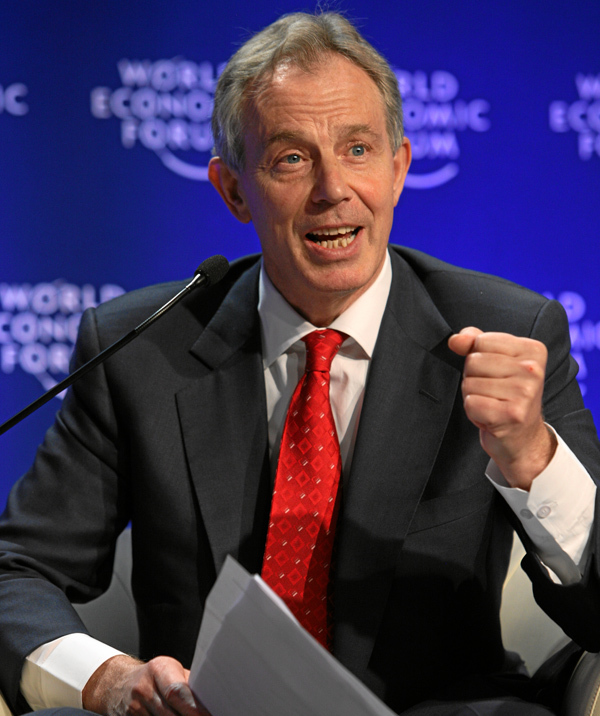 Blair is offered the job of Middle East Peace Envoy. Mr Blair insists he was right to go to war, claiming that his only regret is "not having laid out for people in a clearer way what I saw as the profound nature of this struggle". Prime Minister Gordon Brown invites Sir John Chilcot to set up an Inquiry into the invasion of Iraq and its aftermath. Mr Blair still would have thought it right to remove Saddam even without WMDs. He says: "I mean obviously you would have had to use and deploy different arguments about the nature of the threat." Military families ask Sir John Chilcot if they can meet privately with Tony Blair after he appears before the Inquiry Panel. Tony Blair gives evidence to the Chilcot Inquiry, insisting he had absolutely no regrets in removing the “monster” Saddam Hussein. Blair is questioned for six hours and he insists there was no conspiracy, deceit or deception in his decision to go to war. Prime Minister Gordon Brown denies starving UK armed forces of equipment to the Chilcot Inquiry. Brown said he fully backed the war. Former Foreign Secretary David Miliband tells the Chilcot Inquiry that the United Nations had been feeble in their efforts against Saddam Hussein. He added that most Iraqis felt they had been liberated from tyranny by overthrowing Saddam Hussein. Chilcot Inquiry hears that former French President, Jacques Chirac, believed the Iraq invasion was a very dangerous venture. The Chilcot Inquiry publishes documents relating to the legality of the war after they are declassified by the government. Details of former Attorney General, Lord Goldsmith’s, legal advice to Tony Blair on 12 February 2003 are published on the Inquiry’s website. The government let down the families of British troops killed in Iraq, ex Defence Secretary Bob Ainsworth tells the Chilcot Inquiry. 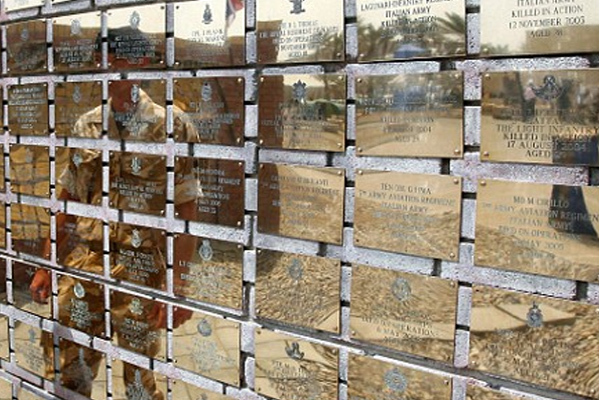 He admits the Ministry of Defence did not get it right in terms of support for the families. The Chilcot Inquiry says it has taken evidence from 35 people. Sanctions should have been given more time to work and would have avoided military action, a former diplomat, Carne Ross, who resigned over the war, tells the Chilcot Inquiry. Former Minister, Adam Ingram, admits to the Chilcot Inquiry that it was “very wearing” for Ministers to have to meet bereaved relatives who blamed them for the deaths of their loved ones. Former Head of MI5, Baroness Manningham-Buller, tells the Chilcot Inquiry that, contrary to what Tony Blair claims, the invasion of Iraq has substantially increased the terrorist threat to the UK. Deputy Prime Minister, Nick Clegg, clarifies the government’s position on the Iraq War after telling MPs that the war had been illegal. Mr Clegg said former Foreign Secretary Jack Straw would have to account for his role in the disastrous decision to invade Iraq. Army Chief, Gen. Sir Richard Dannatt tells the Chilcot Inquiry that troop commitments in Iraq and Afghanistan created “the perfect storm” for an overstretched Army. 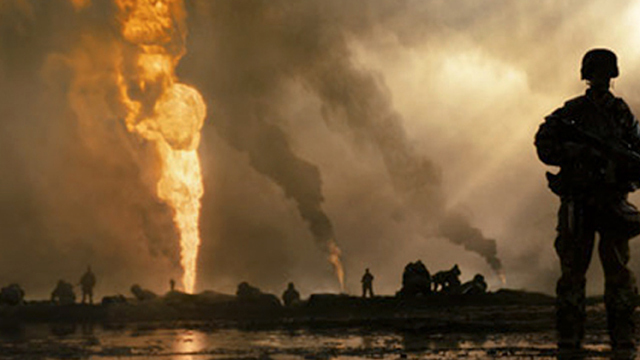 Sir John Chilcot gives details about the panel’s visit to Iraq. Tony Blair recalled to give evidence a second time to the Chilcot Inqiry. Former Attorney General Lord Goldsmith admits to the Chilcot Inquiry that he was ‘”uncomfortable” with statements made by Tony Blair about the legal basis for the war in early 2003. Sir John Chilcot admits he is disappointed the government has chosen to publish the details of correspondence and conversations between Tony Blair and George Bush about Iraq. Head of MI6, Sir Richard Dearlove’s, evidence to the Chilcot Inquiry is published stating that it was nonsense that the relationship between him and Tony Blair was too close. Tony Blair is recalled to give evidence to the Chilcot Inquiry for a second time. He expresses profound regret about the loss of life suffered by UK personnel and Iraqi citizens during and after the 2003 war. He addresses questions about the war’s legality, admitting former Attorney General, Lord Goldsmith, could have been more closely involved with decision making. Tony Blair was warned by the UK’s top civil servant in 2002 that he was getting into a “dangerous position” on Iraq. Former Cabinet Secretary Lord Wilson tells the Chilcot Inquiry he alerted Mr Blair to the legal issues involved. Tony Blair was reluctant to hold Cabinet discussions about Iraq because he was concerned they would be leaked. The UK’s top civil servant tells the Chilcot Iraq Inquiry that Blair believed the Cabinet was not a safe place to debate the issues involved in going to war in Iraq. In the last Chilcot Inquiry hearing to be held in public, former Foreign Secretary Jack Straw insists regime change was “never the goal” of UK policy towards Saddam Hussein. The Chilcot Inquiry panel announces it will not publish its report until the summer of 2012. 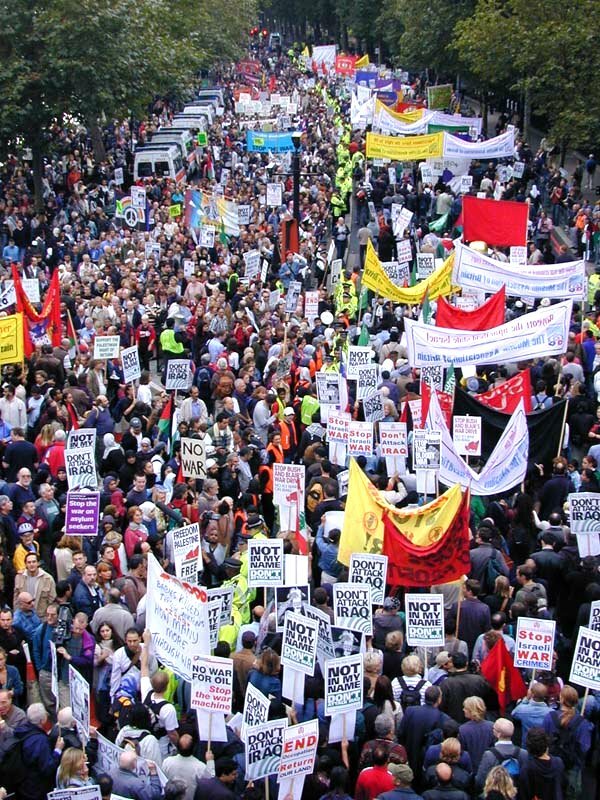 Sir John Chilcot said it needed the extra time to do justice to the issues involved. Malaysian Tribunal sitting at the Kuala Lumpur War Crimes Commission finds George W Bush and Tony Blair guilty of war crimes in absentia. The Chilcot Inquiry panel announces a further delay to the publication of the Report. 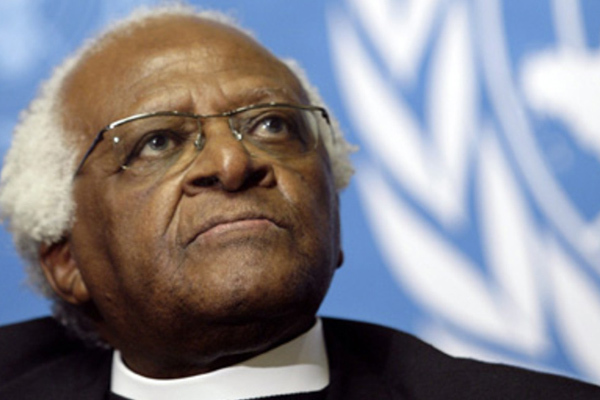 Desmond Tutu announces that he will not meet with ”war criminals” and that Tony Blair should be put on trial for war crimes. The Chilcot Inquiry panel says it cannot proceed with the next phase of its work because key information, including correspondence between Tony Blair and George W Bush has yet to be released. 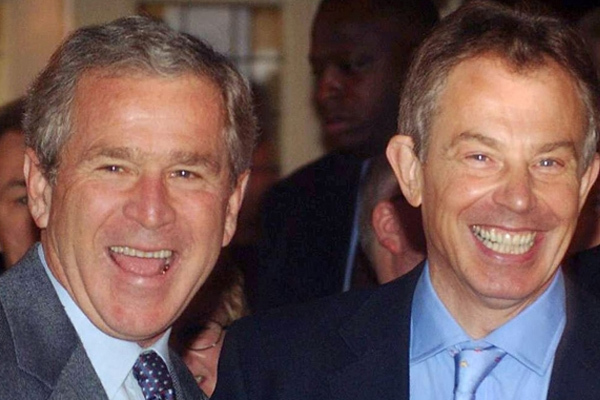 The US has no veto over the disclosure of communications between Tony Blair and George W Bush regarding the war in Iraq, the UK Cabinet Office says. 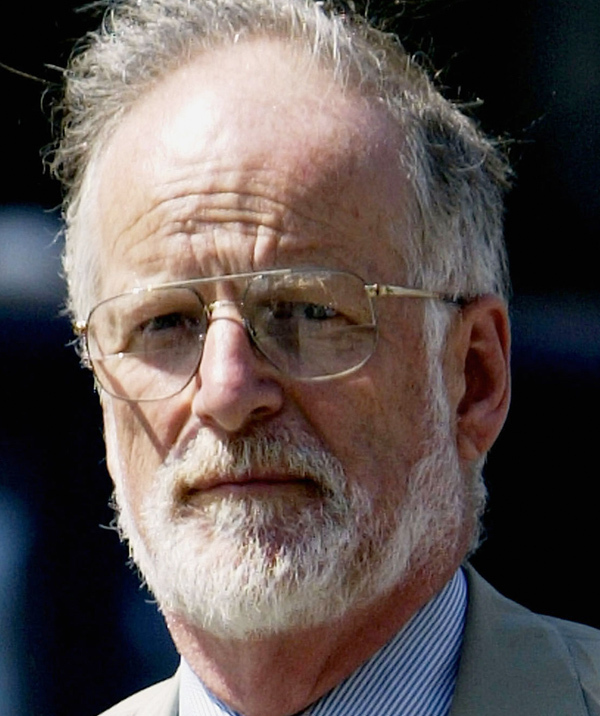 Doctors campaigning for a full inquest for weapons expert, David Kelly, claim there has been an egregious cover-up and demand a fresh investigation. 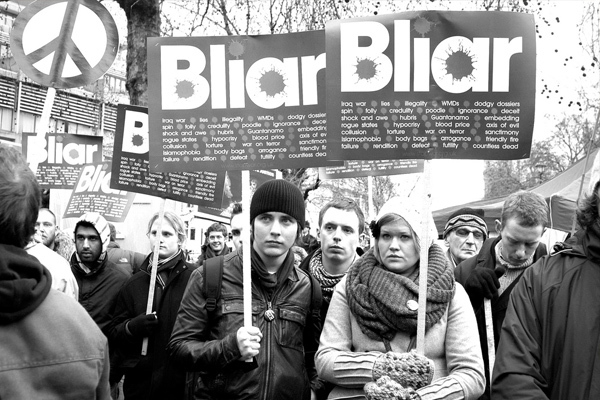 2014 - Blair Claims He's "Not Blocking Any Documents"
Tony Blair says he wants the Chilcot Inquiry Report to be published as soon as possible. He claims he is “not blocking any documents and the publication would allow him to “restate the case” for the 2003 invasion. The UK’s top civil servant, Sir Jeremy Heywood, tells MPs that the Chilcot Report would be “more transparent” than people were expecting and would contain material that “would not normally be disclosed for a million years”. House of Lords Inquiry is told that Tony Blair could face war crimes charges as a result of the Iraq War. Sir John Chilcot agrees to appear before the Foreign Affairs Select Committee to explain the delays of his Report. Appearing before the Foreign Affairs Select Committee, Sir John Chilcot says he will not give any timetable for the publication of his Report. In response to Prime Minister David Cameron’s “disappointment” at the length of time the Report has taken, Sir John Chilcot announces the process of giving witnesses who might be criticized in his report the right of reply. This “Maxwellisation” process, he says, has yet to be completed as some individuals had not yet responded. Daily Mail publishes the leaked memo of Colin Powell confirming that Blair agreed with Bush to go to war against Iraq back in April 2002. Tony Blair appears on CNN and apologizes for the taking Britain to war and admits some guilt over Iraq but absolves himself from blame insisting the fault lay with the Intelligence Service. In a letter to Prime Minister David Cameron, Sir John Chilcot says he expects to complete the report by April 2016. He says that, allowing for security checks by the government, the report would be published in June or July 2016.